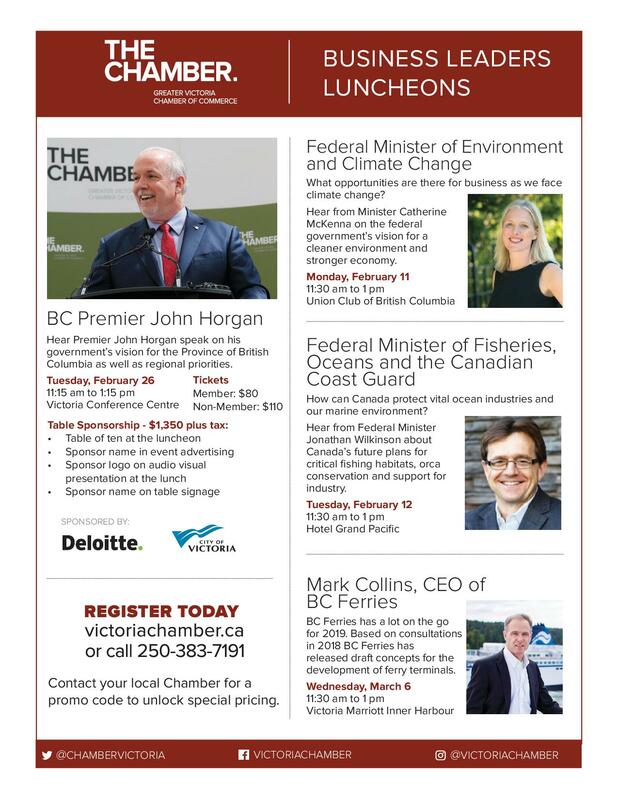 The Victoria Chamber invites Ladysmith Chamber members to hear from four exceptional speakers during the month of February and early March. This is a unique opportunity for you to hear first-hand from key government decision-makers and to ask questions about issues affecting businesses in our island communities. Contact the Ladysmith Chamber (250-245-2112) for a Promo Code to unlock pricing for discounted member rates. Register Today. Call 250-383-7191 or click here.